SINGAPORE - Foxconn Technology Group's Singapore unit has sued Creative Technology for failing to pay about $500,576 for supplies and services that Foxconn, the world's biggest contract manufacturer of electronics, says it provided. Foxconn Singapore says Creative, the maker of the Zen music player and Ziio tablet computer, has repeatedly failed to make payment and has not given any "substantive" reason for its refusal, according to a lawsuit filed with the Singapore High Court. 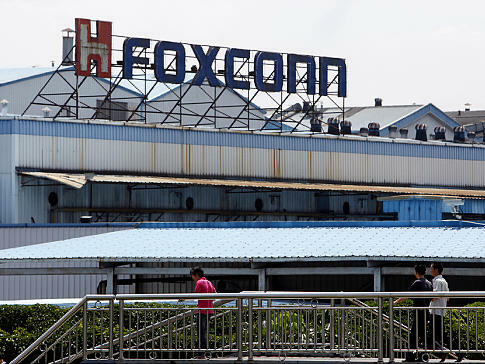 Creative claims in court papers that Foxconn is not entitled to any payments because there are no contracts with either Foxconn or its flagship, Hon Hai Precision Industry. Foxconn also refused Creative's request for a discount, the Singapore-listed company said. A hearing is scheduled for in Dec 2010. Is Creative having money woes or cashflow problems? Didn't know Creative has any business dealings with Foxconn, better known as the Chinese manufacturer for Apple's products such as iPods, iPhones and iPads. Jimmy does not know how to read financial statements. Currently, Creative is out in the market doing share buybacks. You notice everyday you will see buyer(s) coming in to snap up sell orders. Obviously Creative still have hundreds of millions of US$ cash. It is a matter of principle. Creative is beginning to fulfill my mediabook vision. I believe you have heard of ZiiO space. And they should consider bringing some real games like WoW to their platform. These games demand high CPU, good to have high quality audio all which Zii is supposed to tackle well and it will be good to have it on the move too in a new generation compact form factor, not laptop. You cannot even guarantee yourself a profit in Creative shares. Your trading history was huge loss, that's why you came back with our one aim, bash. It is important to have a break. But someone else seems not to have or cannot afford. LOL! Ziio benchmark tests: better than Samsung tab using tegra and other android devices.